Meyer Sound has announced that its Galileo GALAXY network platform has been certified by the AVnu Alliance as fully compliant with the open AVB/TSN networking protocols developed through IEEE. AVnu certification assures consultants, system designers and rental company operators that Meyer Sound systems based around GALAXY can be integrated into larger networked audio and video systems involving input, playback and processing components from multiple manufacturers. 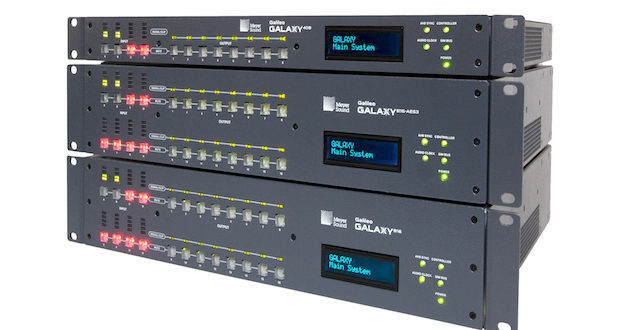 The Galileo GALAXY network platform made its worldwide debut last summer at the InfoComm 2016 show in Las Vegas. GALAXY is the third generation of Meyer Sound’s Galileo loudspeaker processing technology and incorporates the latest FPGA-based processing with up to 64-bit resolution for increased dynamic range, a lower noise floor, and analogue-in to analogue-out latency of 0.6 ms. Available tools include five-band U-Shaping and 10-band parametric EQ, a delay matrix and improved delay integration. 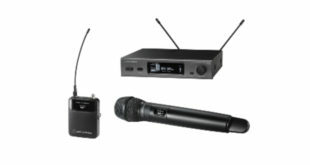 Three versions are available – Galileo GALAXY 408, Galileo GALAXY 816 and Galileo GALAXY 816-AES3 – to enable specification of analogue or AES3 digital inputs and outputs to suit a range of applications. In order to receive AVnu certification, GALAXY was required to pass stringent testing procedures for seamless interoperability with other compatible AV systems based on the AVB/TSN (Audio Video Bridging and Time-Sensitive Networking) protocols. Some of the conformance testing was carried out in-house by Meyer Sound, with the final test procedures carried out by AVnu Alliance’s approved testing partner, the University of New Hampshire InterOperability Lab (UNH-IOL).